Salli Sway is the budget version of the premium Salli Swing. The shape of the saddle is identical on both, however the Salli Sway has a lighter seat frame, fewer accessory options, and a more limited warranty. Saddle chairs help maintain the natural shape of the spine during sitting and working. 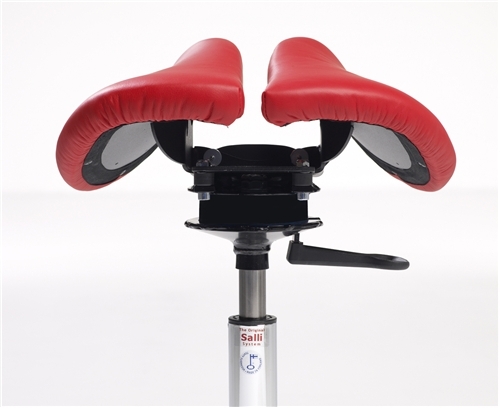 The movable seat on the Salli Sway adjusts to the movements of the body. 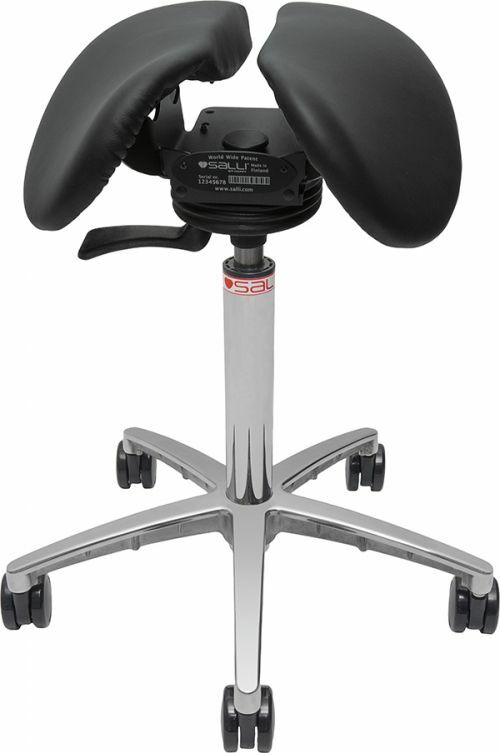 The rocking seat mechanism tilts in every direction without a separate adjustment lever. Even small movements will stimulate muscles in the abdominal and pelvic area, similar to Pilates. 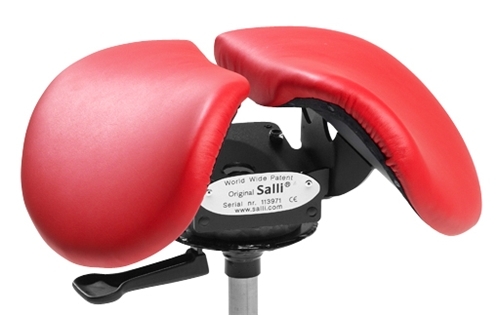 The Salli Sway saddle has a patented split seat to cool and relieve pressures for improved genital health in both women and men. The anatomical shape fits most adults. If your body type is outside the "average" range, for example, a lot of soft tissue (very muscular or thick thighs, bulky soft tissues in the peroneal area), or very little soft tissue (narrow pelvis, very thin build), you might be more comfortable in the Salli SwayFit or Salli SwingFit. Steel seat plate covered with resilient contoured foam. Polyurethane and leather upholstery meets CA TB133 flammability standards.